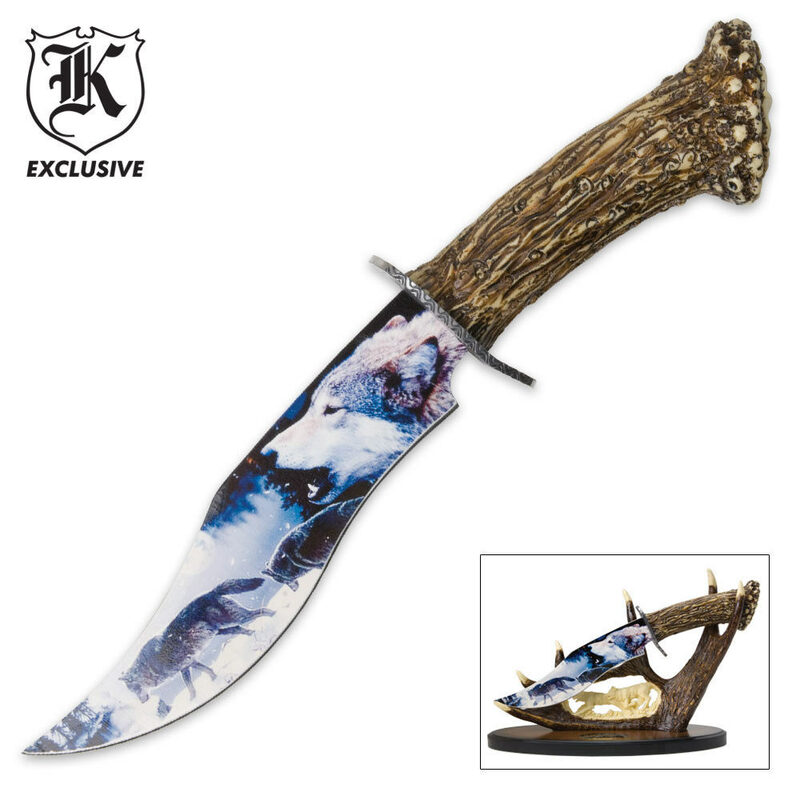 Wild Wolf Pack Bowie Knife | BUDK.com - Knives & Swords At The Lowest Prices! 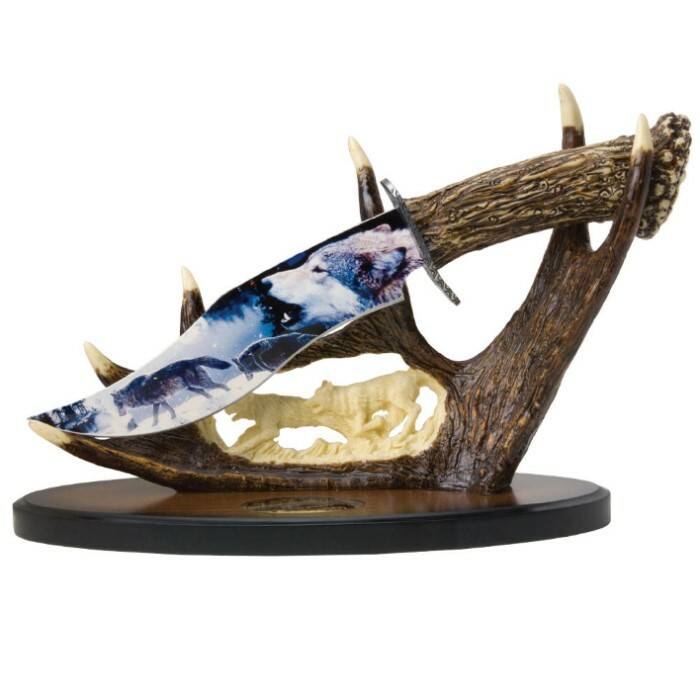 The Timber Wolf howls in the distance as this unique collectible cutlery treasure rests upon your mantlepiece. This ornately designed bowie features a carved handle design and breathtaking artwork on its 7 1/2" stainless steel blade. The full-color blade art depicts howling wolves in superb detail. 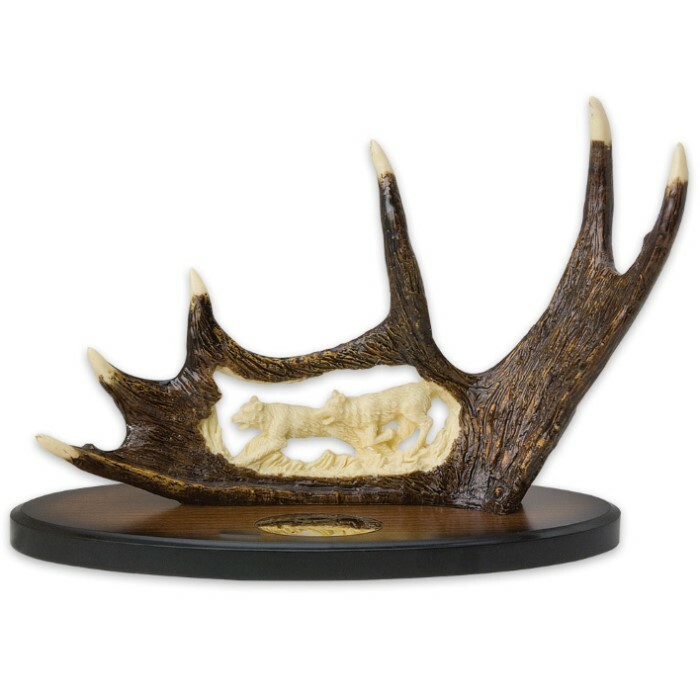 Display it boldly on the carved faux antler display stand. It was a great buy and great looking set. Rituals? What on earth are you talking about? I am sure BudK does not endorse nor condone the cutting of oneself or of others or the use of thier knives in rituals. Got it today and its great, better than expected. When I first purchased it I was worried that it might look like a real cheap and cheesy print on the knife and that the handle and stand might be that too. It wasn't anything like what I was worried about, it looks fantastic. The only downside is that it came very dull (unable to easily make a small cut on skin, managed with some good force to make a small cut but that is it.) so I am going to be sharpening it up a bit to use for rituals on occasion.